Not all rehabilitation facilities are as expensive as you might think. If it is something you have never experienced before, your perception has most likely been derived from the regular stories in the media of celebrities in expensive rehab facilities. However not all rehab centres are like that. That said, not everyone can afford a stay in a residential rehab centre. So what do you do if you need to go to rehab but can’t afford it. 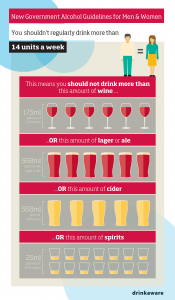 As a British citizen, if you are struggling with an alcohol addiction you can be treated on the NHS for free. This will involve being referred by your GP to the local addiction treatment centre, where you will receive counselling and ongoing rehabilitation support. Your GP will prescribe medication to help you through the withdrawal process and the addiction counsellor will manage other therapies. Disadvantages: You may have to wait some time for your referral to come through and there may be little consistency in the location or practitioners providing your care and support. In the modern world, there is an enormous amount of information and resources available at your finger tips to help you manage your addiction. You can learn about different approaches and self-help techniques and try ones that you feel might work for you. Read books and take inspiration from other people’s success stories. Before starting any programme of self-help, you should talk to your GP. If you are heavily dependent on alcohol, you may need medication to manage your withdrawal symptoms. Disadvantages: Your addiction may be greater than you first believed and it may prove difficult to break without more specialist help. Lots of people have found support groups such as Alcoholics Anonymous really helps them to overcome their alcohol addiction. These support groups work on the basis that people going through the same challenges, work together to support each other through mutual understanding and empathy. They are free to join and many people manage to break their addictions through support group meetings. Disadvantages: The structured format of support group meetings does not always appeal to everyone. Disadvantages: although considerably less, there is still some cost involved.